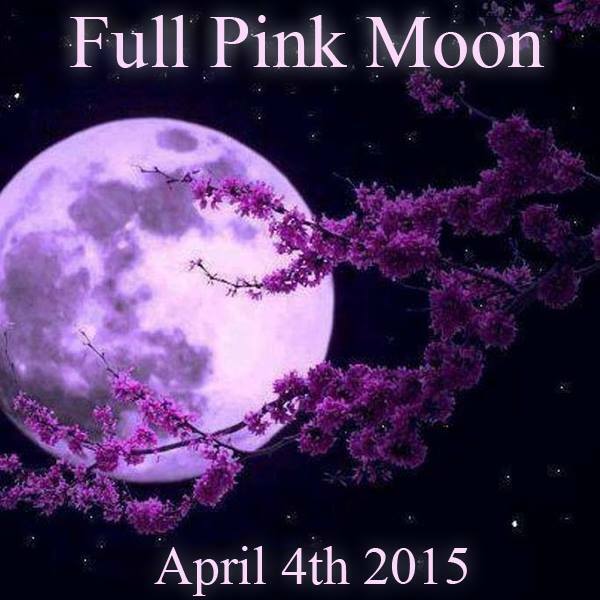 Tonight is the Full Pink Moon. This name comes from the wild groundphlox, which is one of the earliest widespread flowers of spring. Other names for this month’s Moon are Seed Moon, The Wind Moon, the Full Sprouting Grass Moon, the Egg Moon, and among coastal tribes, the Full Fish Moon, because this was the time that fish swam upstream to spawn.There was a Lunar Eclipse this morning turning the Moon a dark blood-red color known as a Blood Moon. This is always a special time because the earth, the sun, and the moon were all in perfect alignment for a brief time. In April, the thunderstorms of March are beginning to subside, and the wind picks up. Seeds are being blown about on the breezes, spreading life all around from one place to the next. This is a brilliant Moon to use for any new projects or ideas we may have, it is also the perfect time to conceive as fertility is abundant at this time. 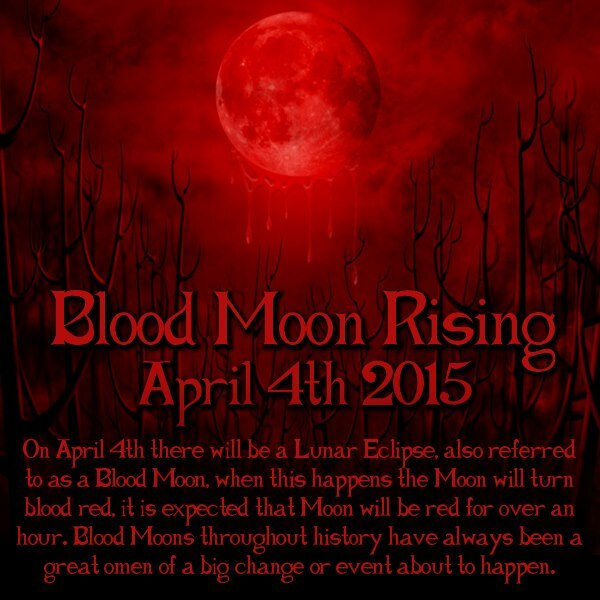 The pull of the past can be strong at a lunar eclipse and this one is certainly no exception. We may find our best intentions going up in smoke as we embrace old habits and fall back into old destructive patterns. Try and be strong and not take the easy option, instead take the road which will give you the best results. Emotions are running high on the Pink Moon, our smallest emotions can be magnified and intensified making us feel a little overwhelmed at times. This is the time to put your gratitude forth for all the many blessings in your life and to clearly speak aloud your intentions and desires to be heard by the universe as we step across this edge to the other side. We are in a powerful time where we are asked to look at what is no longer working in our lives and inhibiting our further growth. Where are we surrounded by things, people, situations, attitudes that are actually toxic and need to be burned in the fire, so we can be reborn like the phoenix. 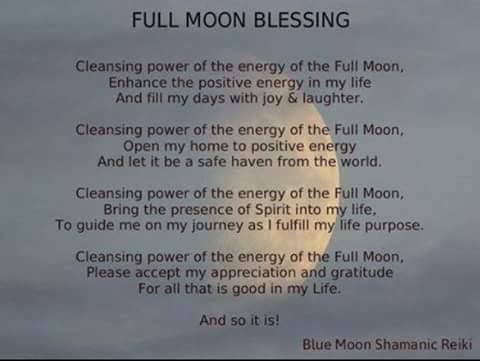 Use the light of this Full Moon to cast away negativity and the negative aspects of our lives and to let positive and good pour in. Open yourself up and allow your vessel to be filled with the blessings that the universe is sending out now. Full written and photo credit goes to Wicca Teachings. Editing credit goes to me. 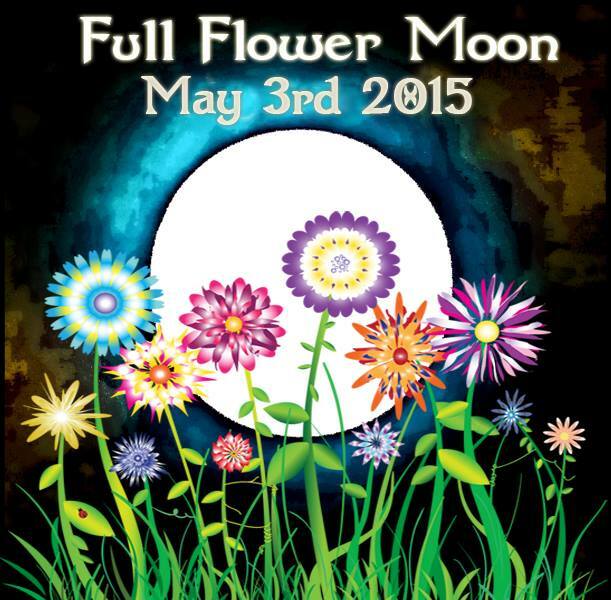 Tonight will be the first Full Moon of the year. It is called the Wolf Moon because at this time hungry wolves would howl up to the big, bright January Moon outside villages. It is also called the Cold Moon, Winter Moon, and the Old Moon. The word January came from the Roman name for this month. It was named after the God Janus, who was the God with two faces. This was the God of the past and future, beginnings and endings. This Moon is a time of protection and strength for guarding ourselves. While it is the first full Moon of the calendar year, in terms of nature it occurs in the middle of the cold winter season, a season of death and desolation. 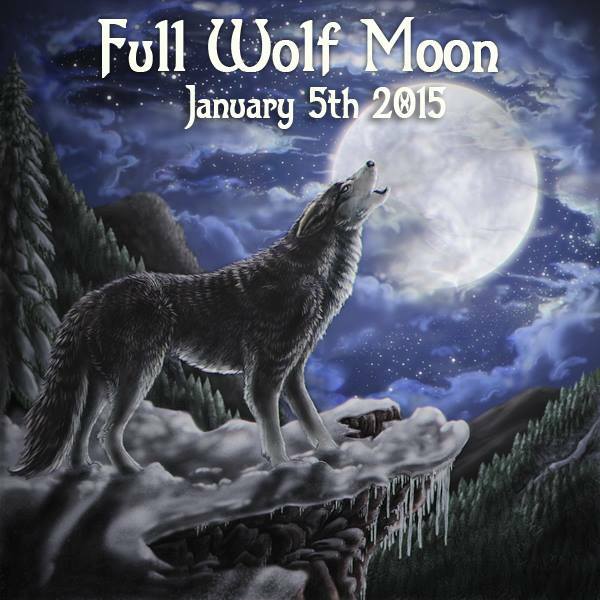 In this respect, the Wolf Moon can be seen as a time of both beginnings and endings. We have said goodbye to the old year and are now looking toward the new year. This Full Moon is actually a Grand Cross Full Moon- which means there are planets in all the cardinal signs (Aries, Cancer, Libra, and Capricorn) and they are all squaring or opposing each other. This brings up crisis points, but also the potential for major realization, ‘aha’ moments, and inner or outer shifts in our personal lives, relationships, home/family situations and career or life purpose. This is not a light and casual Full Moon. It is kicking off 2015 in a big way, with focus on what needs to shift, change, transform, end, and/or be released in our lives. We can use this Full Moon to get clarity on where we are holding on and what we need to let go of. Because the Full Moon is in the emotional sign of Cancer, part of what we need to let go of is our emotional attachment to the past. This can be a loony lunar peak. Stand by for moments of irrationality or lashing out. Your emotions will be on high alert for a while, so watch what you say to people in heated moments. Try to find some time to relax and calm down and to soothe frayed nerves. It may feel hard to make decisions at the moment. You may feel you’re being pulled in all directions and are not quite sure which way to turn. Try to stay calm and the right decisions will come to you. The Cancer Moon is reminding you to use your feelings to guide your life. What you think and feel matters. Feelings are your indicators in every moment. Feelings don’t lie. Feelings are never right or wrong. Feelings are the best part of you. Your power lies in what you do with your feelings. This Full Moon asks us to make a decision. We will feel as though we’re at a crossroads; to stay with the old and familiar or move into the unknown of something new. Try not to go to extremes, it is all about keeping a balance. The waters may seem stormy now, but they will calm down and you will feel a sense of clarity and see everything for what it is. Use the water aspect of Cancer to wash over you and to heal you, both physically and emotionally. 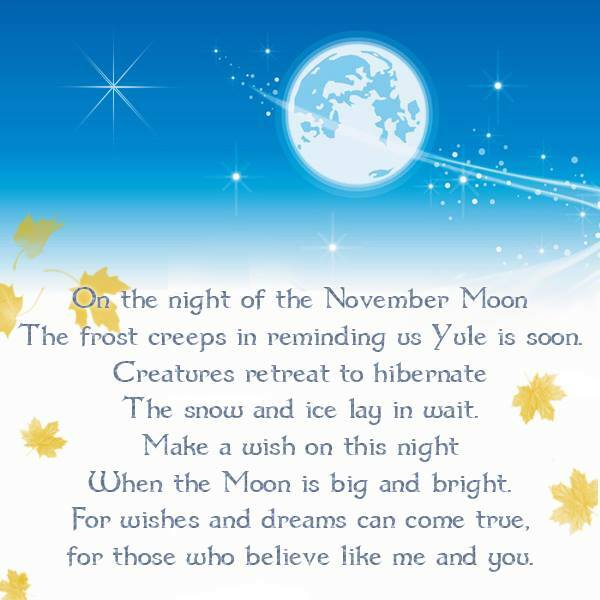 Today is Yule, commonly referred to as the Winter Solstice, which is the longest night of the year. After this night the nights will start to get shorter and days longer. It is the rebirth of the Sun. Every 6 months there is a Solstice. On the Summer Solstice, the longest day of the year, the Waning Sun takes control of the skies and the days get shorter and nights get longer, the cold starts to set in and vegetation begins to die. On the Winter Solstice the Waxing Sun takes over and the nights start to get shorter and the days longer, it is a sign that Spring is only a few months away, where life will begin anew and the earth will start to blossom and bloom. On Yule we celebrate the return of the Waxing Sun. In Wicca it is the birth of the Sun God who has many names; Cernunnos, The Oak King, Apollo, Sol, Freyr, Horus, Mithras, and more. The Goddess gives birth to him on this night, she sacrifices herself to give life to the Lord Of Light to ensure the earths’ survival. In ancient tradition, Yule was celebrated with a large fire where townsfolk and villagers would dedicate it to the Sun God. They would fill their home with evergreens and an evergreen tree to show that even though the land is barren and dead, life is still flourishing, They would decorate the tree and their home with shiny objects to encourage The Sun God to shine. We use Holly and Mistletoe on Yule as symbols of the fertility of the God and Goddess as they grow in the Winter. The red berries of the Holly represent the blood of the Goddess and the white berries of Mistletoe represent the God to ensure a healthy Spring and harvest to come. The Winter Solstice has been celebrated by many ancient cultures, one of the most famous being Saturnalia and more modernly, Christmas. 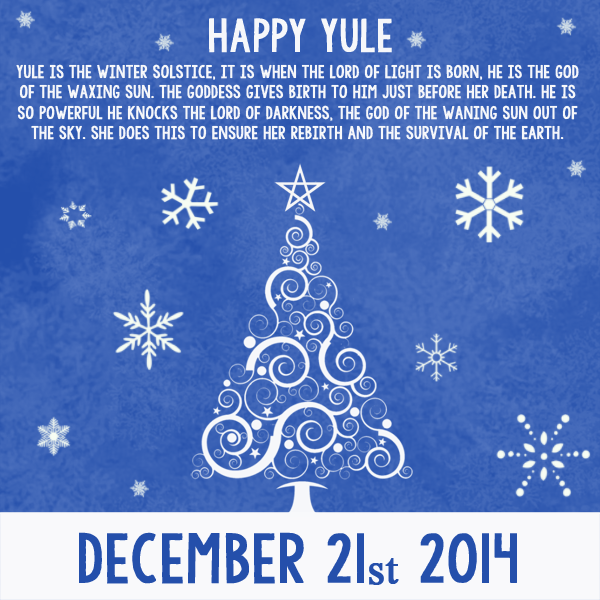 Yule is a celebration of light, and of the Sun and its life-giving properties upon the earth. 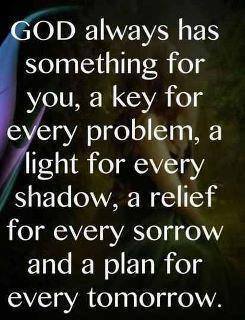 It is a time to rejoice and to be thankful for all we have and to gather strength for the new year. It is a time to contemplate on the year that has gone and look to the future. Tonight, build a fire of Oak in honor of the Sun God and speak your wishes into its flames for the coming new year. Eat drink and be merry. 100% written credit goes to Wicca Teachings. 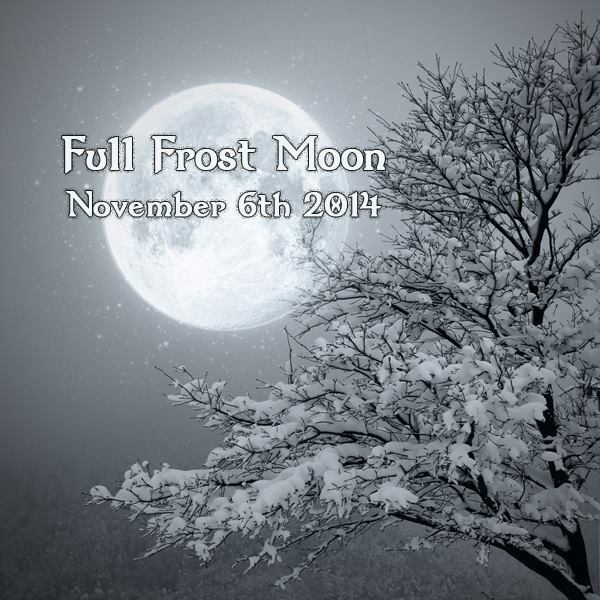 Today is the Full Frost Moon, also known as The Snow Moon, Beaver Moon, Cold Moon, and Mourning Moon. 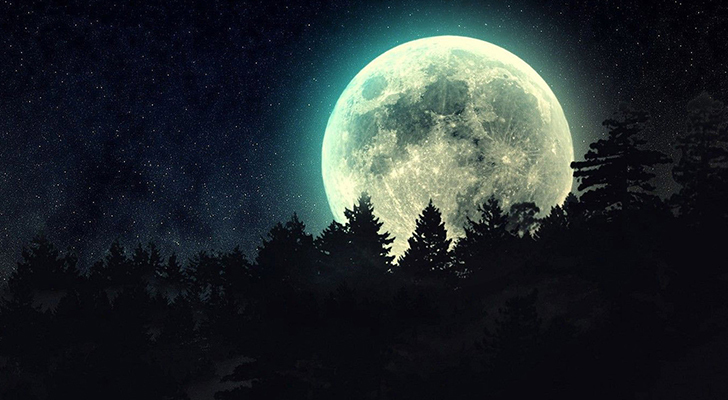 This Full Moon is in the sign of Taurus. Finances are illuminated on this Full Moon to watch what we are spending and to improve or bring in an extra income. We must become empowered to make the changes necessary to shift our situation. It is up to us and the time is now. As we let go and surrender to the deeper current that is transforming us, we are reminded to relax into the waters of tranquility and appreciate the depth of experience that our life journey has brought us. The earth sign of Taurus symbolizes values, material security, possessions, beauty, tranquility, and self-worth. There is the potential to concentrate and remain steadfast when working with the higher potential of Taurus. This practical sign is in no rush to get anywhere, rather it wants to indulge itself in sensual pleasures such as savory foods, exquisite fabrics, delightful fragrances, and harmonious sounds. During the Full Moon in Taurus, why not ease yourself into a state of being which is feeling gratitude for whatever is in your life rather than fixated on the lack of it. Think about what changes you can make deep within you to promote the change you want in your relationship, work and life. Before you see the change in your world, change needs to occur within you first. You can sabotage your own success by resisting change. Being stubborn can appear as strength on the surface. In truth, this can be your fear masking your needed changes. This Full Moon gives us access to tremendous power and healing ability. This is the feminine power continuum. The Sun is in the sign of Scorpio the water sign. The water/earth polarity of emotion and practical manifestation are here, we can use it to delve into some cold, hard truths about ourselves and transform what has gone before by opening our hearts to our true self, the power of love, Our self-esteem, our self-worth, our safety and feelings of security and comfort, what is truly valuable to us, and the connection to our material possessions and finances. All of this is up for scrutiny. It takes courage and a desire to heal. Let the Taurus Moon lead you to nature, Mother Earth and the beauty, love, and support available through her. The feminine is being hugely empowered now and along with that comes the need to clear out our emotional filters and distorting veils with forgiveness and gratitude for the re-balancing of the Masculine and Feminine on the planet. Ruled by feminine Venus, she brings to Taurus the sensuous, the beautiful, and the ability to magnetize what she desires to her. We are magnets to our desire now, and we have the power to attract what we want toward us. This Full Moon look into yourself and ask yourself what you need to move forward, ask yourself how you are going to achieve this and ask yourself if you feel that you are strong enough to do this. If you feel you are not strong enough, use the energy of this Full Moon to heal and gain strength. Ask the Goddess for guidance and to lead the way to more positive and happier life. Tonight is a good time to determine just what you value and want to stand for, create in your life and carry forth into the next cycle of your evolution. Have a blessed Full Moon. May the Goddess watch over you. Full Written credit goes to Wicca Teachings. Photo credit to Wicca Teachings.